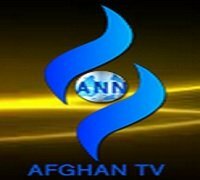 News TV channel / Afghan TV is a commercial television station, based in Kabul, Afghanistan since 21 May 2004. The station is owned by Ahmed Shah Afghanzai, an Afghan entrepreneur. It originally broadcast for 18 hours daily, but has been 24-hours since July 2004. Afghan TV has lots of entertainment programs, including sport, social and educational. It also has Indian, American, Korean and Arabic drama. It also broadcasts news, although this is also broadcast 24 hours a day on its sister channel, Afghan News.